The 13 NHS trusts have been chosen because they provide a mixture of acute, mental health and community services. They will receive a share of £16 million funding for 2018 to 2019. This will help clinicians gain a greater understanding of the management of diseases. In February 2018, the previous Secretary of State announced that the funding would be made available for trusts that had not made progress with implementing electronic prescribing. This funding will help to speed up the implementation of ePMA across all trusts within the next 3 years to 2021. "As part of the long-term plan for the NHS, we not only want to harness technology to make it one of the most advanced healthcare systems in the world, but crucially to improve patient care. "The funding provided for these trusts will help to drive these changes to the patient experience, but will also aid our hard-working and dedicated staff. "The introduction of electronic prescribing is not only known to reduce medication errors, but also frees up time for staff by moving away from archaic paper-based systems." 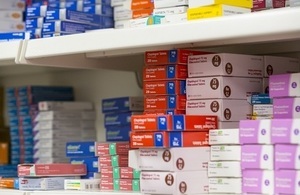 "There is evidence that electronic prescribing and medicines administration systems will improve safety for patients, reducing the risk of harm and ensuring high quality efficient patient care which is as safe as possible. "I’m delighted so many trusts have submitted successful bids to accelerate the introduction of these systems to provide safer, better quality patient care. We are now looking for more trusts to bid for funding by the end of January."